Voting has ended in the second phase of the Gujarat assembly elections 2017. Voter turnout was 11.7 per cent till 10 am, which climbed to 62.37 per cent at 4 pm -- an hour before voting closed -- and finally settled at 68.7 per cent when voting ended at 5 pm in the Gujarat assembly polls. This is less than 71.3 per cent voter turnout recorded in the previous Gujarat assembly elections in 2012. 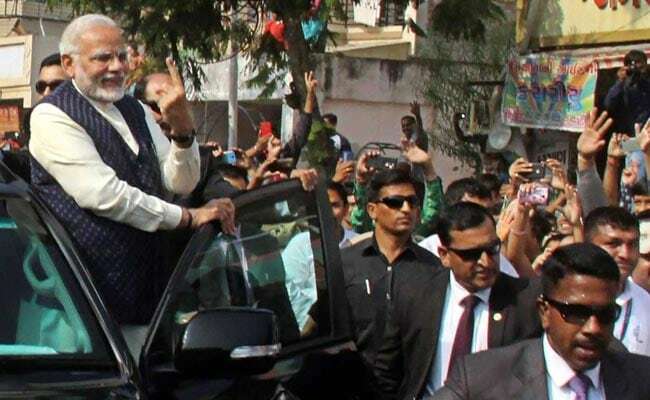 Prime Minister Narendra Modi, who cast his vote in Sabarmati, walked among a crowd of supporters who chanted "Modi, Modi", which the Congress alleged was the same as holding a roadshow. Polling was held on 93 Gujarat assembly seats in 14 districts in the home state of PM Modi, who led an aggressive election campaign for the BJP. Gujarat has 182 assembly seats. The BJP has been in power in Gujarat for the last 22 years. The Congress is also looking to make a comeback in Gujarat; party president-elect Rahul Gandhi led the Congress campaign for the Gujarat assembly polls. 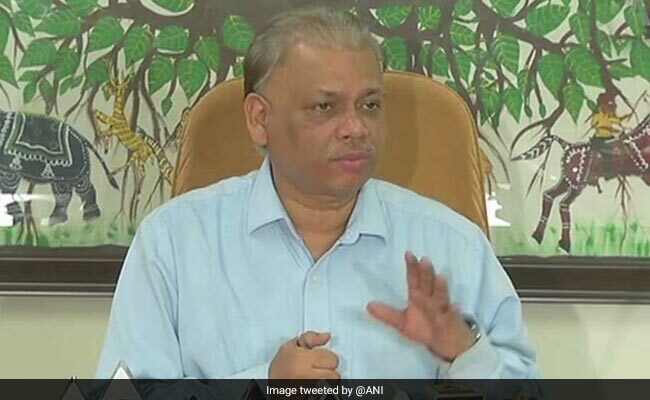 Barring few minor incidents, polling was held peacefully in the second phase of the Gujarat assembly elections 2017, Deputy Election Commissioner Umesh Sinha told reporters after voting ended at 5 pm. The turnout at the close of voting was 68.3 per cent, which is lower than 71.3 overall voter turnout in the last assembly elections in 2012. Now all eyes are on exit polls that are forecasting a BJP win in Gujarat. India TV's exit poll shows the BJP sweeping Saurashtra and Kutch (winning about 34 of 54 seats). A similar result for the same region is predicted by news channel ABP. Himachal Pradesh, with a total of 68 seats, is easily won by the BJP, says the India Today exit poll. The sluggish voter turnout in the first few hours due to the winter chill gave way to visible enthusiasm as the day progressed in the second phase of the Gujarat assembly elections 2017, news agency IANS reported. 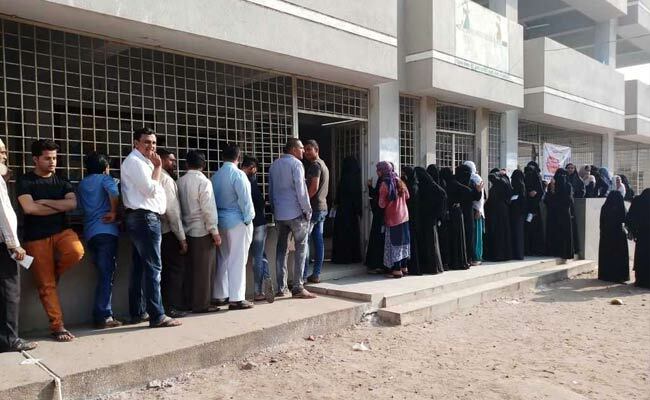 Long queues of men and women were seen outside polling booths almost everywhere. But with the stakes high in Gujarat, the Bharatiya Janata Party (BJP) and the Congress were locked in a war of words after Prime Minister Narendra Modi voted in Ahmedabad and then went around the area, showing his inked finger with the voter mark. A furious Congress complained to the Election Commission that PM Modi held a roadshow in Ranip area for the Gujarat assembly polls. The BJP will win Gujarat and retain power in the home state of Prime Minister Narendra Modi, according to the first exit poll which is available at this time. The data will change as the results of more exit polls arrive. The people of Gujarat voted today in the second phase of the Gujarat assembly elections 2017. 2.2 crore people are eligible to vote in the Gujarat assembly elections, according to the Election Commission. The BJP has been in power in Gujarat for the last 22 years. A polling station in Vadodara where all the staffers are women. Voting has ended in the second phase of the Gujarat assembly elections 2017. Voter turnout was 11.7 per cent till 10 am, which climbed to 47.40 per cent at 2 pm. The overall voter turnout at the close of voting will be known in a short while. 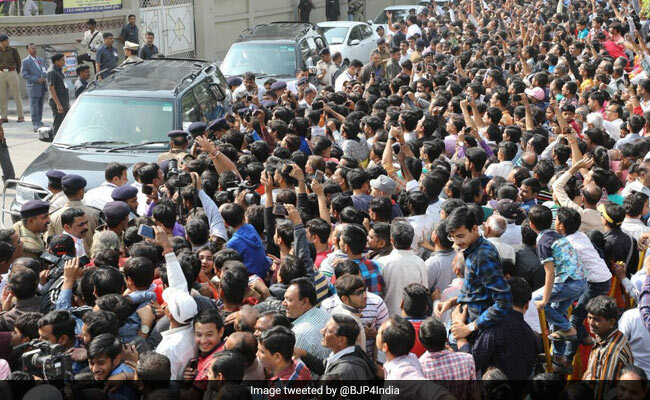 Prime Minister Narendra Modi, who cast his vote in Sabarmati, walked among a crowd of supporters who chanted "Modi, Modi", which the Congress alleged was the same as holding a roadshow. Shares rose today, rebounding from two days of losses, after the US Federal Reserve raised rates but kept its outlook unchanged, although caution lingered ahead of the release of exit polls of the Gujarat assembly elections 2017, news agency Reuters reported. The benchmark BSE Sensex closed up 0.59 per cent at 33,246.7 while the broader NSE Nifty ended 0.58 per cent higher at 10,252.1. The indexes fell as much as 0.50 per cent each earlier in the day. "I don't know what the exit polls are going to say but I do know they've been wrong more times than they've been right so I'll just wait for the real results on the 18th," former Jammu and Kashmir Chief Minister Omar Abdullah tweeted today as the people of Gujarat voted in the second phase of the Gujarat assembly elections 2017. 2.2 crore people were eligible to vote in the Gujarat assembly elections. 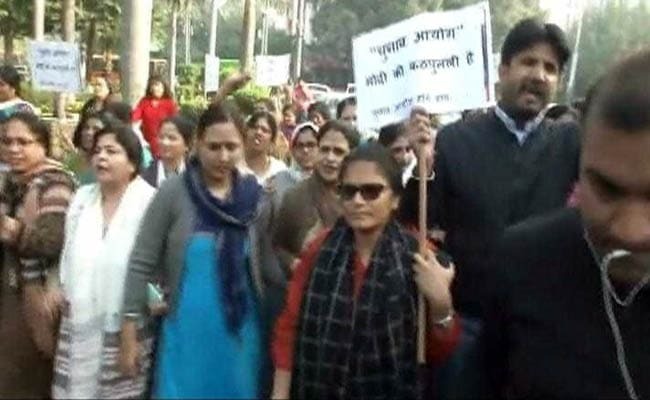 Congress workers are protesting outside the Election Commission's commission office. The EC said it is looking into the Congress's complaint and "will take action if necessary". A BJP delegation led by senior party leader and Law Minister Ravi Shankar Prasad will meet the Election Commission shortly. 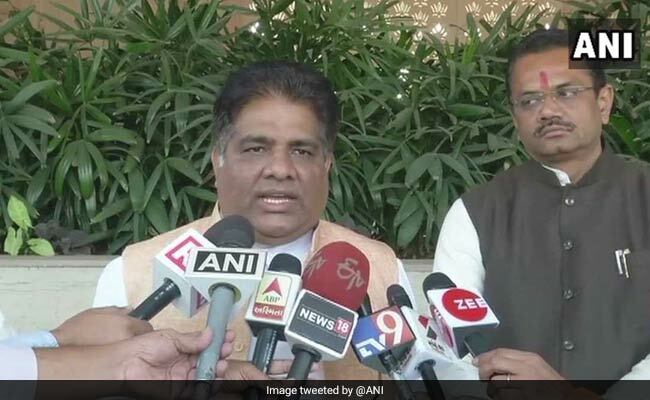 "The grapes are sour so the Congress is making such allegations against the Election Commission," said the BJP's Bhupendra Yadav. "We received a complaint from a person, apparently when he switched on Bluetooth on his mobile phone it connected to the machine. We are checking this at every place. Senior officers and observers are at the spot to check this," said BB Swain, Gujarat Chief Electoral Officer. Voting in the second phase of the Gujarat assembly election 2017 will close at 5 pm. Voter turnout is 47.4 per cent till 2 pm. People stand in queue to cast their vote at a polling station in Godhra in the second phase of the Gujarat assembly elections 2017. Voting started at 8 am and will end at 5 pm. 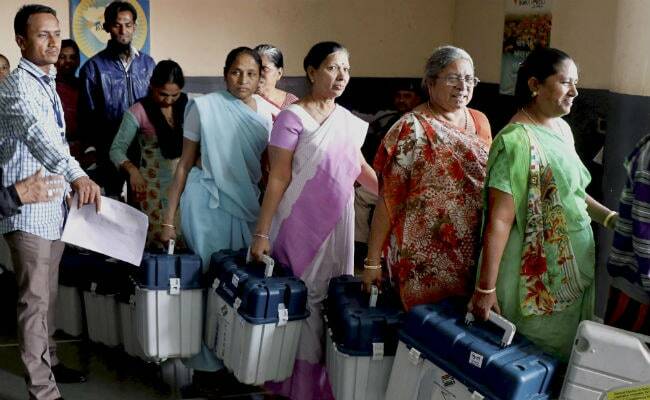 The turnout in the Gujarat assembly polls till noon was 29.3 per cent, according to the Election Commission. 2.22 crore voters are eligible to vote in the Gujarat elections. The BJP has been in power in Gujarat for the past 22 years. Congress leader Alpesh Thakor has cast his vote in Ahmedabad in the second phase of the Gujarat assembly elections 2017. Alpesh Thakor, 40, who spearheaded the OBC campaign in Gujarat before joining the Congress, was among the early voters today. Mr Thakor is contesting on a Congress ticket on the Radhanpur seat in Patan district, where he is taking on BJP's Lavangji Thakor. "It is a matter of happiness for me that I was the first voter to cast vote at my polling booth. We are committed to changing the kind of politics happening in the state," he said as he came out of the booth after voting, news agency PTI reported. Patidar or Patel quota agitation leader Hardik Patel said the ruling BJP in Gujarat was set to lose the Gujarat assembly elections 2017, and that the Congress was likely to get around 100 seats in the 182-member house, news agency IANS reported. 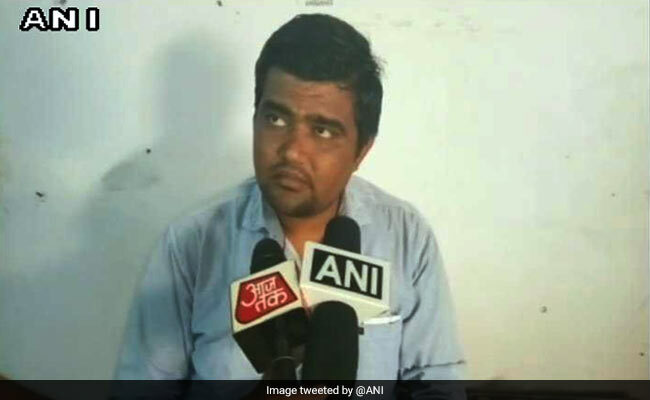 "Official files have already started disappearing from the state Secretariat," Hardik Patel told reporters after casting his vote in Viramgam in Ahmedabad district in the second phase of the Gujarat assembly elections 2017. Hardik Patel said the Bharatiya Janata Party (BJP) was likely to get 70 seats. "The BJP has already accepted defeat -- that is why half of the government is out working in the elections." The BJP has been in power in Gujarat for the past 22 years. "People should vote to throw out the arrogant from power in Gujarat," he said, reported IANS. Hardik Patel meets supporters after casting his vote in the second phase of the Gujarat assembly polls today. 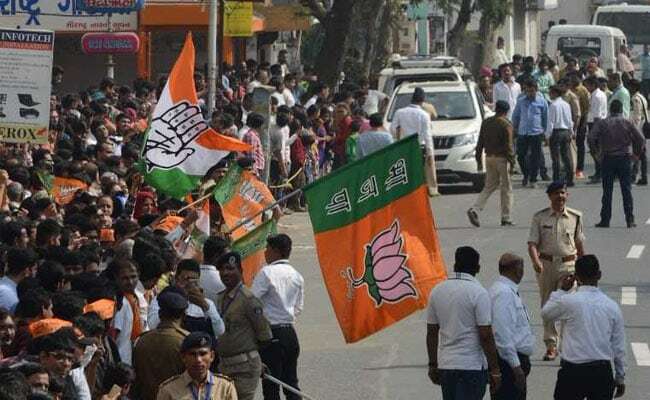 The BJP has criticised the Congress for what it says questioning a constitutional body, after the Congress alleged Prime Minister Narendra Modi took out a roadshow in Ahmedabad today after casting his vote in the second phase of the Gujarat assembly elections 2017. "They (Congress) want to question a constitutional body. We condemn it. We believe that constitutional bodies must be respected. This is the responsibility of every party. The language used by the Congress is condemnable," BJP national general secretary Bhupendra Yadav told reporters. "Election Commission has abdicated its constitutional responsibility. 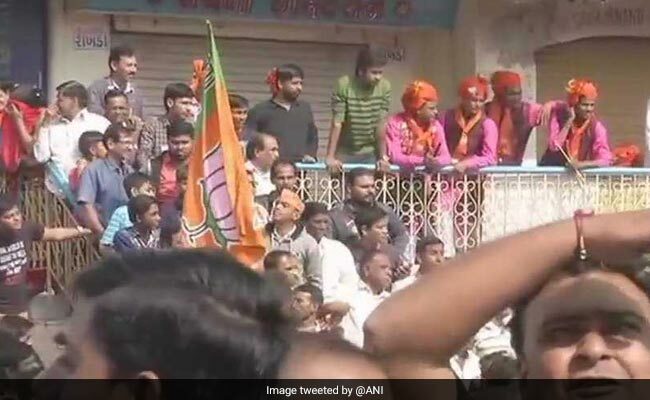 A desperate Prime Minister facing defeat in Gujarat holds a Road Show with BJP flags, Flagrantly Flouts the Constitution and Code of Conduct," Congress legislator and communications in-charge Randeep S Surjewala tweeted. 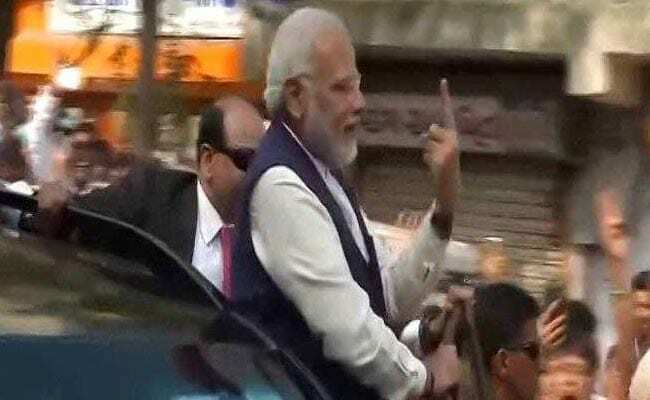 Prime Minister Narendra Modi, after casting his vote in Ahmedabad in the second phase of the Gujarat assembly elections 2017, had waved his inked finger as he walked among a crowd that was chanting "Modi, Modi". Congress leader P Chidambaram accused the Election Commission of allowing a roadshow of Prime Minister Narendra Modi in Ahmedabad, saying it is a gross violation of rules and that the Commission was "sleeping on the job", news agency PTI reported. "It is an election campaign. What is the EC doing?" 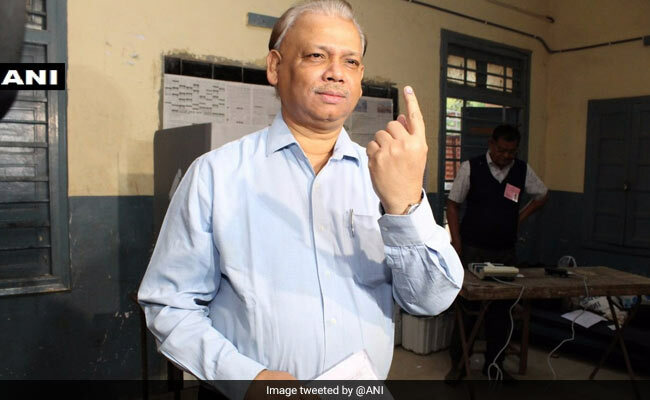 he tweeted, reacting to PM Modi displaying his inked finger while moving about on an Ahmedabad road after casting his vote in the second phase of the Gujarat assembly elections 2017. "Yesterday, PM made a speech. BJP's President gave an interview. Railway Minister gave an interview. Why have all these escaped the EC's attention? Why pick on only Mr Rahul Gandhi's interview?" P Chidambaram tweeted. Prime Minister Narendra Modi greets supporters after casting his vote in Ahmedabad in the second phase of the Gujarat assembly elections 2017. 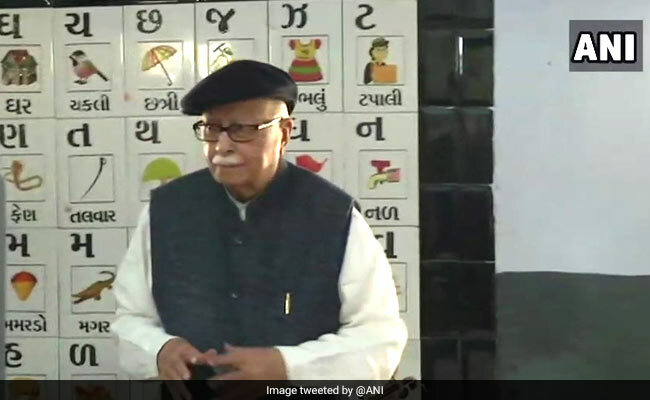 Senior BJP leader LK Advani casts his vote in Ahmedabad district's Jamalpur Khadiya in the second phase of the Gujarat assembly election 2017. The BJP is hoping to retain Gujarat for the fifth term as it has been in power in the home state of Prime Minister Narendra Modi for the past 22 years. Voting in the second phase of the Gujarat assembly polls will end at 5 pm. Voter turnout till 10 am was 11.7 per cent. Shares fell today as investors waited for early forecasts on the Gujarat assembly elections 2017, with sentiment also muted as inflation ticked higher and industrial output weakened, news agency Reuters reported. Bonds and the rupee, however, rose after the US Federal Reserve raised interest rates. Votes from the Gujarat assembly polls will be counted on December 18, but markets were on edge ahead of exit polls due later today. 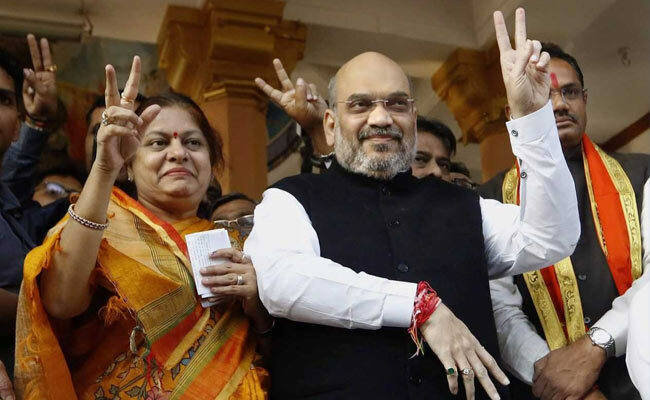 BJP chief Amit Shah shows the victory sign after voting at a booth in Ahmedabad along with his wife, Sonal, and his son, Jay Shah, in the second phase of the Gujarat assembly elections 2017. Mr Shah, 53, voted in an area that he has long links to -- in the 80s, he was assigned, in the BJP tradition, of managing a booth in the same precinct. Booth managers are tasked with ensuring party supporters are contacted ahead of the election to ensure they show up on voting day. "We have received two complaints regarding presence of Bluetooth in polling booths in Ghatlodia and Mehsana. We sent observers to the spot," Gujarat Chief Electoral Officer BB Swain said. Even in the first phase of the Gujarat assembly polls held on December 9, election officials had looked into complaints that Bluetooth signals were seen in some polling stations in Gujarat. "Allowing a roadshow of PM on voting day is a gross violation of code of conduct. It is an election campaign. What is the EC doing?" former Finance Minister and Congress leader P Chidambaram tweeted. 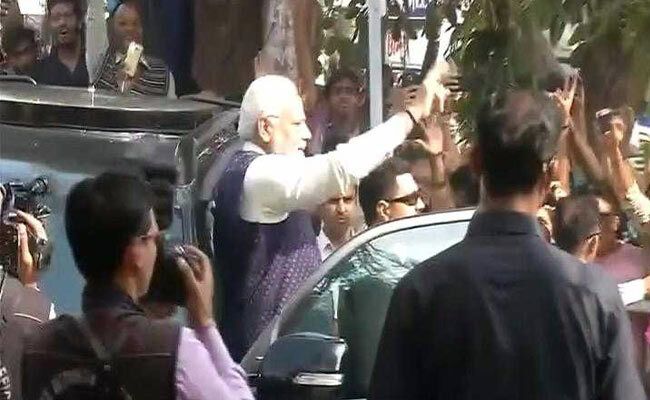 Prime Minister Narendra Modi, after casting his vote in Ahmedabad in the Gujarat assembly election 2017, had gone out to meet supporters who were chanting "Modi, Modi". PM Modi has run a high-decibel campaign for the BJP in Gujarat, while the Congress campaign was led by party president-elect Rahul Gandhi. 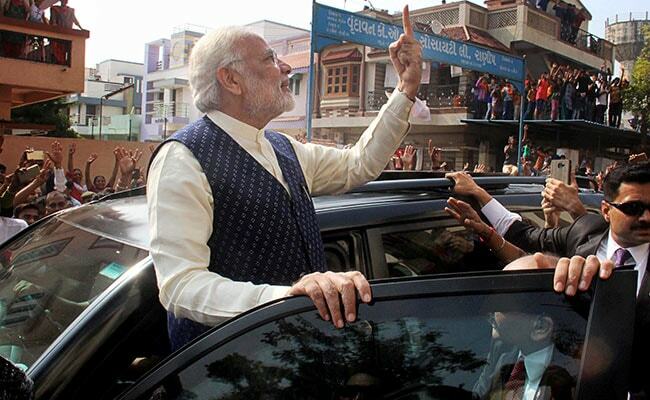 "PM Modi's road show after casting vote is a clear case of violation of the model code of conduct. EC it seems is working under pressure from PM and PMO," Ashok Gehlot of the Congress said, news agency ANI reported. "Compared to phase one, there has been less than 50 per cent cases of EVM replacements in phase two. 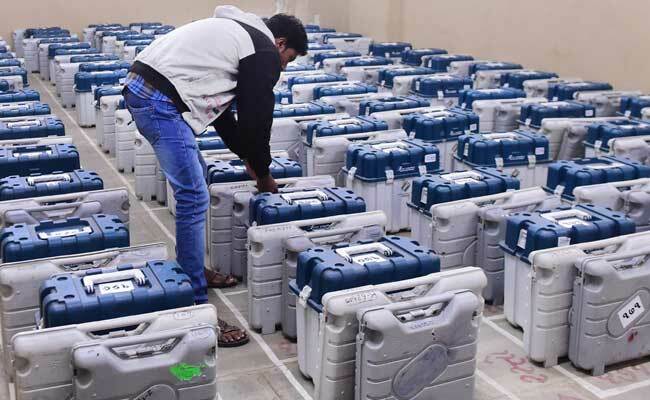 Our target remains to replace faulty EVMs as soon as possible," said Gujarat Chief Electoral Officer BB Swain, new agency ANI reported. 2.2 crore people are eligible to vote in the Gujarat assembly elections 2017. "We are live web-casting from 1,700 booths. Security is properly deployed, and staff reached on time," he said. "We have given proper instructions to ensure that EVMs which encounter problems are changed in time so as to avoid any delay that was encountered during the first phase of polling," BB Swain said. Former cricketer Nayan Mongia casts his vote in Vadodara's Akota in the second phase of the Gujarat assembly election 2017. The Congress's Ranjit Chauhan and BJP's Seemaben Akshaykumar Mohile are contesting the Gujarat assembly polls from this constituency. Voting will end at 5 pm. The voter turnout till 10 am was 11.7 per cent. "Out of total machines (EVMs) deployed for second phase of Gujarat polls, 1.63 per cent VVPATs replaced after mock polls. 0.88 per cent ballot units and 0.86 per cent control units also replaced," Gujarat Chief Electoral Officer BB Swain told news agency ANI. 2.2 crore people are eligible to vote in the second phase of the Gujarat assembly elections 2017, according to the Election Commission. Prime Minister Narendra Modi takes a ride and shows his inked finger as a crowd chanting "Modi, Modi" greets him after he cast his vote in Sabarmati in the second phase of the Gujarat assembly elections 2017. Prime Minister Narendra Modi has voted in Sabarmati in the second phase of the Gujarat assembly election 2017. PM Modi has run an aggressive campaign in Gujarat, his home state where the BJP has been in power for the past 22 years. The Congress campaign has been spearheaded by party president-elect Rahul Gandhi. The Gujarat assembly polls is being seen as a prestige battle for Prime Minister Narendra Modi. Prime Minister Narendra Modi arrived at a polling station in Nishan High School in the Ranip locality of Sabarmati to cast his vote in the second phase of the Gujarat assembly election 2017. He was seen waiting in line at the booth to cast his vote. "On my way to cast my vote in Ahmedabad," Prime Minister Narendra Modi tweeted as people voted in the second phase of the Gujarat assembly elections 2017. He was returning after launching India's latest submarine, INS Kalvari. Prime Minister Narendra Modi has run an aggressive campaign in Gujarat, his home state. The Congress's campaign was led by party president-elect Rahul Gandhi. 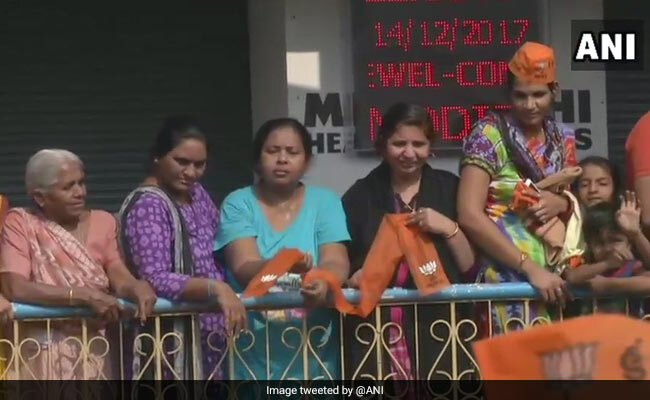 A crowd chanting "Modi, Modi" gathers in Sabarmati, waiting for Prime Minister Narendra Modi to arrive to cast his vote in the Gujarat assembly polls. BJP legislator (MLA) Arvind Patel is up against Congress's Jitubhai Patel from this seat. Senior Congress leader Shaktisinh Gohil casts his vote in Gandhinagar in the second phase of the Gujarat assembly election 2017. The Congress is looking to take Gujarat, Prime Minister Narendra Modi's home state, from the BJP's long rule of 22 years. Patidar or Patel quota agitation leader Hardik Patel has pledged support to the Congress. Dalit leader Jignesh Mevani is contesting the Gujarat assembly polls as an independent with support from the Congress. A crowd shouting "Modi, Modi" has gathered at a polling station in Nishan High School in the Ranip locality of Sabarmati, waiting to see Prime Minister Narendra Modi when he arrives to vote in the second phase of the Gujarat assembly election 2017. Prime Minister Narendra Modi is the face of the BJP's aggressive campaign in his home state, where the BJP has been in power for the last 22 years. The Gujarat assembly polls are also being seen as a contest between PM Modi and Congress president-elect Rahul Gandhi. 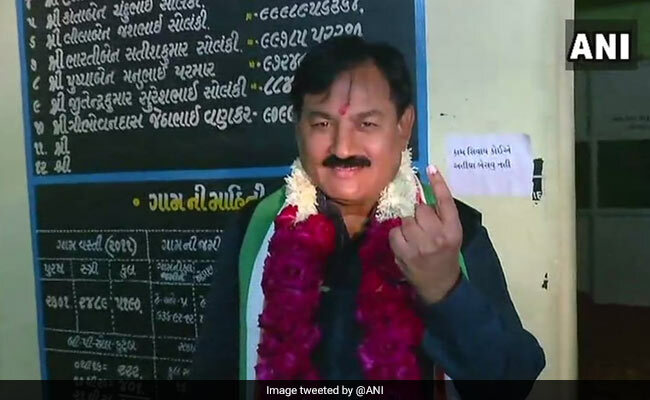 Gujarat Congress chief Bharatsinh Solanki has voted in Anand in the second phase of the Gujarat assembly election 2017. 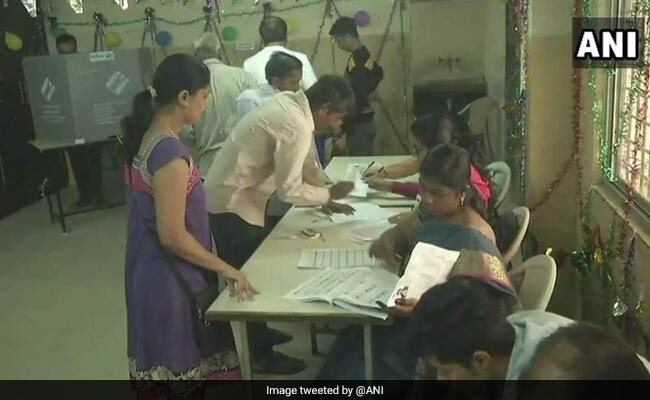 In Ahmedabad, voter turnout till 10 am has been reported at 9.6 per cent. The Gujarat assembly polls are being seen as a prestige battle for Prime Minister Modi, who belongs to Gujarat, and also the first major test of leadership for Congress president-elect Rahul Gandhi. Counting of votes is on December 18. Gujarat Chief Electoral Officer BB Swain casts his vote in Gandhinagar in the second phase of the Gujarat assembly elections 2017. Both the Congress and the BJP ran a high-decibel campaign ahead of the Gujarat assembly elections. The BJP has been in power in PM Modi's home state for the last 22 years. The Congress is also hoping to win in Gujarat, and has struck a deal with Patidar or Patel quota agitation leader Hardik Patel and Dalit leader Jignesh Mevani. 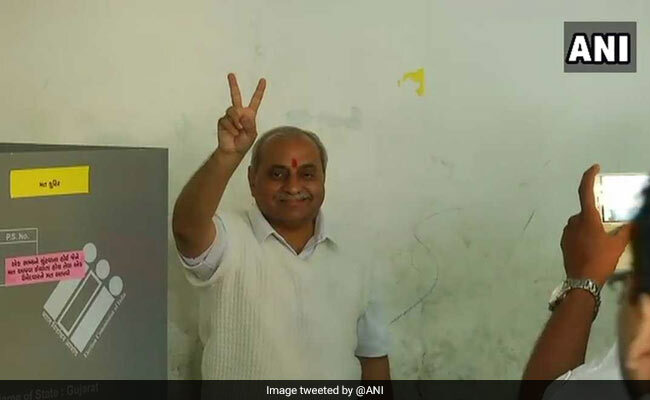 Gujarat Deputy Chief Minister Nitin Patel has cast his vote in Mehsana's Kadi in the second phase of the Gujarat assembly elections 2017. He is contesting against the Congress's Jivabhai Patel on this seat. In November, Nitin Patel accused senior Congress leader Kapil Sibal of "misleading the Patels". Nitin Patel said Mr Sibal, a lawyer, himself had argued before the top court in 90s against increasing the reservation quota and now he is advocating the quota demand by young leader Hardik Patel-led outfit Patidar Anamat Andolan Samiti (PAAS). Patidar or Patel quota agitation leader Hardik Patel has cast his vote in Viramgam. 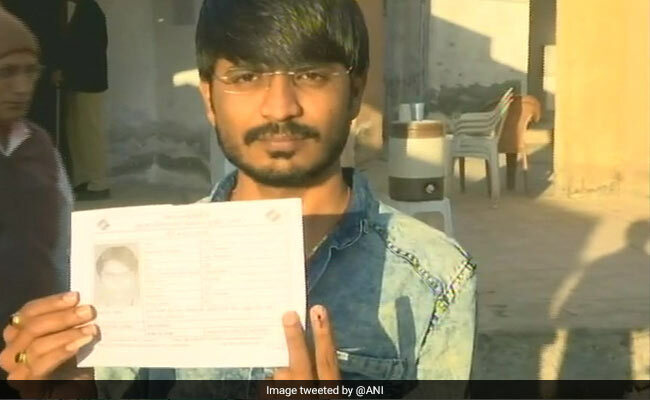 Hardik Patel, who is 24 years old, is too young to contest elections. He has pledged support to the Congress in Gujarat, where the BJP has been in power for the last 22 years. Hardik Patel has accused the BJP in Gujarat for doing little for the benefit of the Patidar or Patel community. "I think Congress will win. BJP will lose. I'm confident and don't need to prepare an appeal to vote for your future," Hardik Patel said after casting his vote. After casting his vote in the second phase of the Gujarat assembly elections 2017, BJP president Amit Shah said, "I would like to appeal to the voters to come out in large numbers to cast their vote to take ahead the journey of development." He cast his vote at a polling booth in Naranpura, news agency PTI reported. His wife Sonal Shah and son Jay Shah also cast their vote. "I believe this tempo should be maintained, and the people should vote in large numbers to give a befitting reply to those opposing the Gujarat model," Amit Shah said. He then went to Kameshwar Shiva temple with his family members. The Sensex opened in the green by jumping 117 points today on value-buying in blue-chips ahead of exit poll results for the Gujarat assembly elections 2017. Asian stocks moved sideways, news agency PTI reported. The NSE Nifty went above the 10,200-mark. The 30-share BSE index was up 116.70 points, or 0.35 per cent, at 33,169.74. 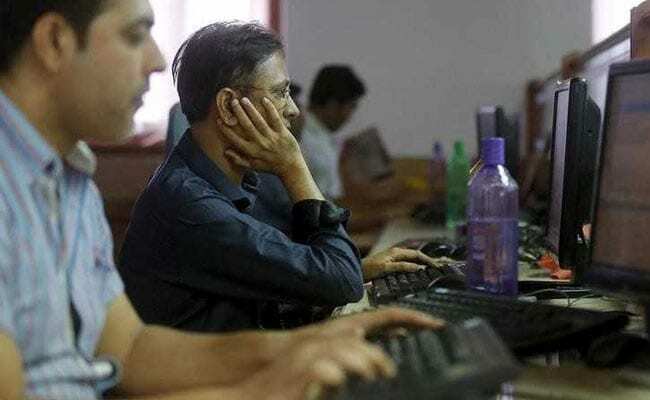 The Sensex had lost 402.75 in the previous two sessions, disappointed by grim economic data and the ADB lowering India's economic growth forecast. Analysts said optimistic buying by participants ahead of exit poll results for the Gujarat assembly polls later in the day had a bearing on mood. 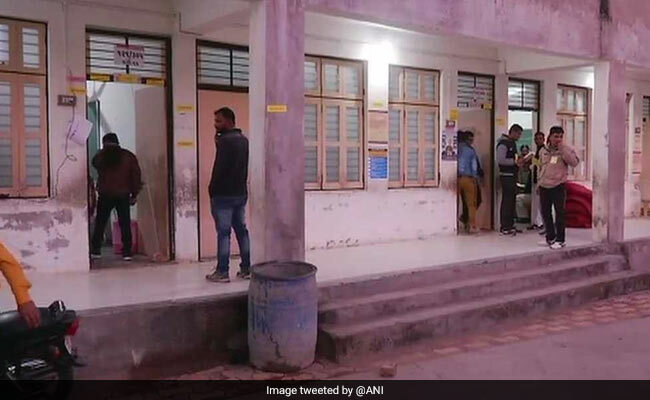 "The EVM in Sankheda's Sodhaliya village in Chhota Udaipur was not working for 50 minutes, so voting was halted for that duration," polling officer Gaurang Rana told news agency ANI on the day when the second phase of the Gujarat assembly elections 2017 is being held. "We fixed the machine and now the voting is underway," Mr Rana said. 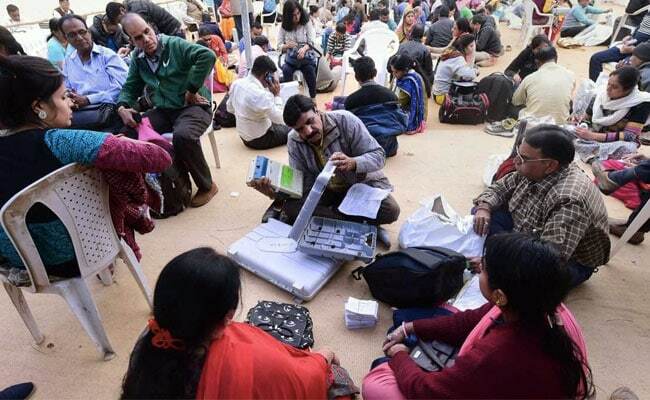 Some electronic voting machines had to be replaced during the first phase of the Gujarat assembly polls on December 9 after they malfunctioned. 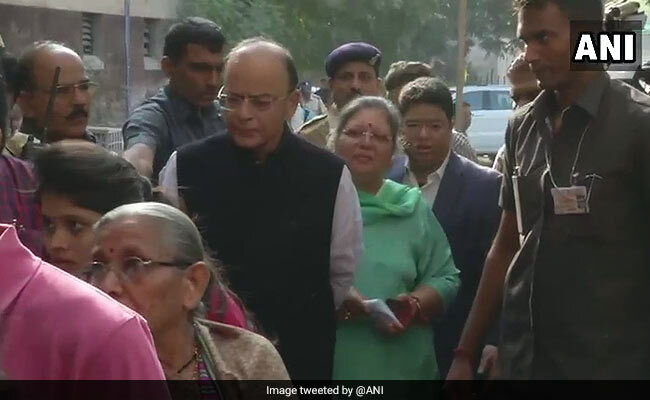 Finance Minister Arun Jaitley stands in a queue at a polling booth in Ahmedabad's Vejalpur to cast his vote in the second phase of the Gujarat assembly elections 2017. The Goods and Services Tax (GST) and last year's demonetisation will come into play in the mind of voters as they vote in the Gujarat assembly polls. Arun Jaitley recently said the economic expansion recorded in July-September period marks the reversal of the declining trend of growth seen in the last few quarters. "I appeal to the people of Gujarat to vote in large numbers, continue the journey of development," Arun Jaitley said. Jan Vikalp leader Shankersinh Vaghela has cast his vote in Gandhinagar's Vasan village in the second phase of the Gujarat assembly elections 2017. 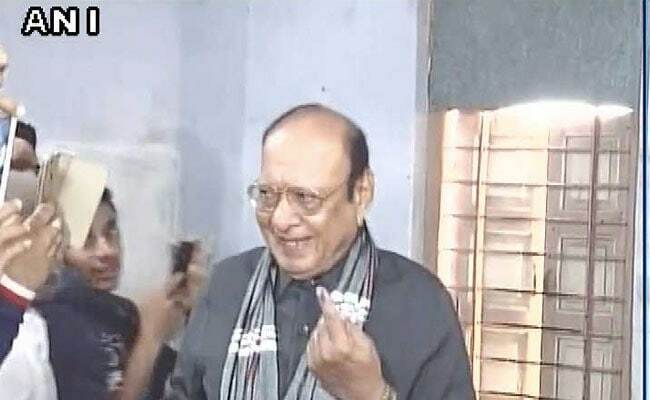 In 1996, when he had walked out of the BJP, Mr Vaghela had floated the Rashtriya Janata Party. He later merged the party with the Congress. Two decades later, Mr Vaghela, angry at not being projected as presumptive chief minister of the party in the Gujarat assembly polls, led a revolt against the Congress in the run-up to the Rajya Sabha polls earlier this year. 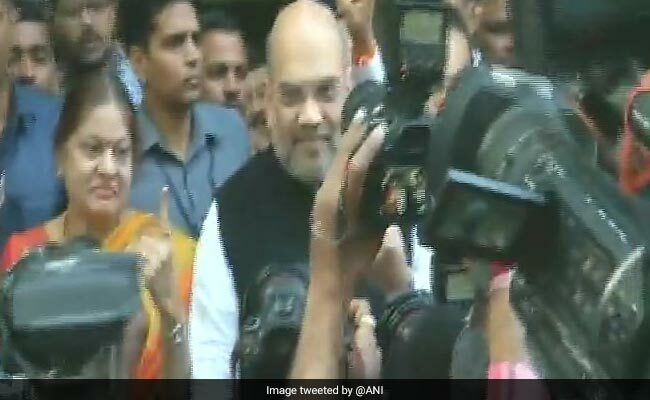 BJP president Amit Shah has cast his vote in Naranpura in the second phase of the Gujarat assembly election 2017. The BJP has been in power in Gujarat, Prime Minister Narendra Modi's home state, for the past 22 years. Amit Shah on Wednesday criticised former Prime Minister Manmohan Singh, who in a video statement said he is "deeply hurt" by Prime Minister Narendra Modi's allegations that he colluded with Pakistani guests at a dinner and discussed the Gujarat assembly polls. "The journey of development has begun. Vote in large numbers. Participate in this festival of democracy. 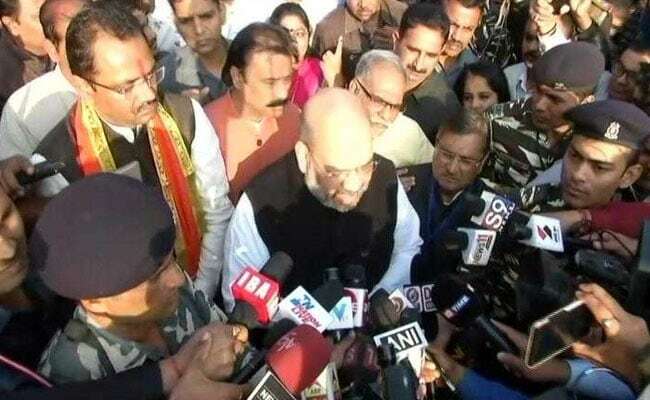 The Gujarat model is talked about across the world..." Amit Shah said. 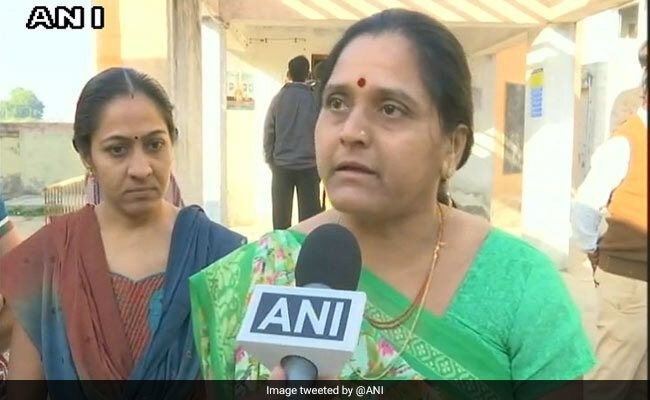 Patel Bharat Patel and Usha Patel, the parents of Patidar or Patel quota agitation leader Hardik Patel, have cast their votes in Viramgam in the second phase of the Gujarat assembly election 2017. 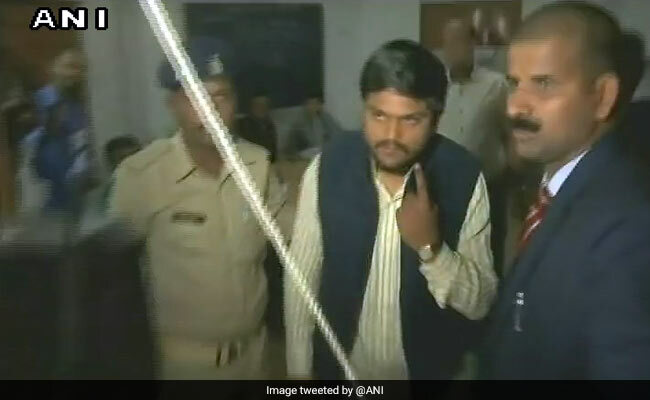 Hardik Patel, who is 24 years old, is too young to contest the Gujarat assembly polls. He has, however, pledged support to the Congress in Gujarat. Hardik Patel's mother speaks to reporters after casting her vote in the Gujarat assembly polls 2017. 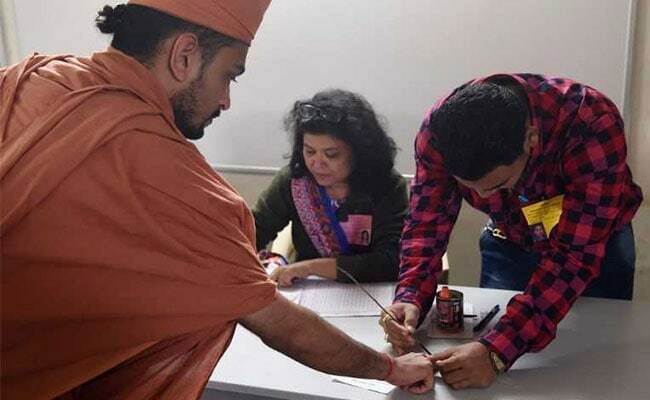 Hiraba, the mother of Prime Minister Narendra Modi, has cast her vote at a polling booth in Gandhinagar in the second phase of the Gujarat assembly election 2017. Voting in the second phase of the Gujarat assembly polls will end at 5 pm. 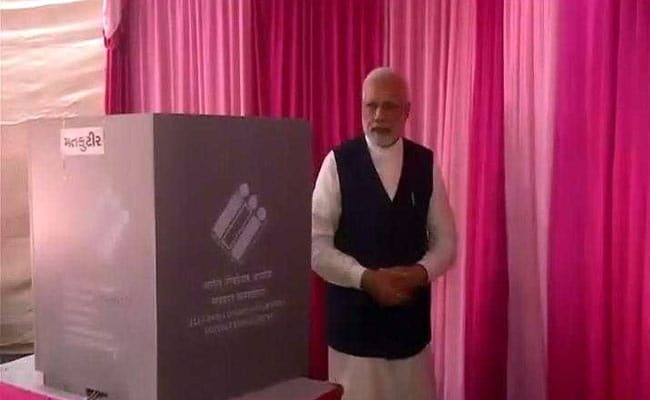 Prime Minister Narendra Modi will also cast his vote in the second phase today. 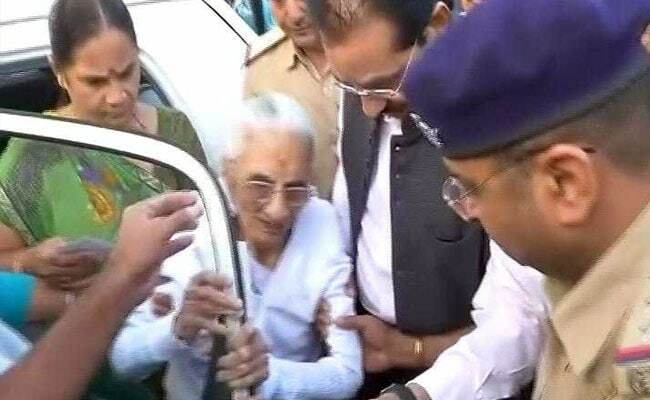 "May god bless Gujarat," she told the reporters as she came out after casting her vote. Former Gujarat Chief Minister Anandiben Patel casts her vote in Ahmedabad's Ghatlodia in the second phase of the Gujarat assembly election 2017. BJP's Bhupendra Patel is up against Congress's Shashikant Patel on this assembly seat. The results of the Gujarat assembly polls will be announced on December 18. Prime Minister Narendra Modi and Congress president-elect Rahul Gandhi have tweeted asking people to vote in record numbers. Voting is underway in Viramgam's polling booth number 252 in the second phase of the Gujarat assembly election 2017. This is Patidar or Patel quota agitation leader Hardik Patel's home town. 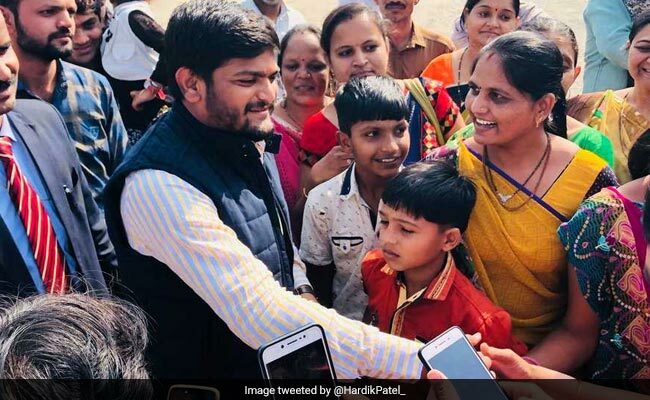 Hardik Patel has said he will try to bring down the BJP in Gujarat; the party has been in power in Prime Minister Narendra Modi's home state for 22 years. The BJP is guilty of failing to support the demand of Patidars, its loyal votebank for decades, Hardik Patel has said. 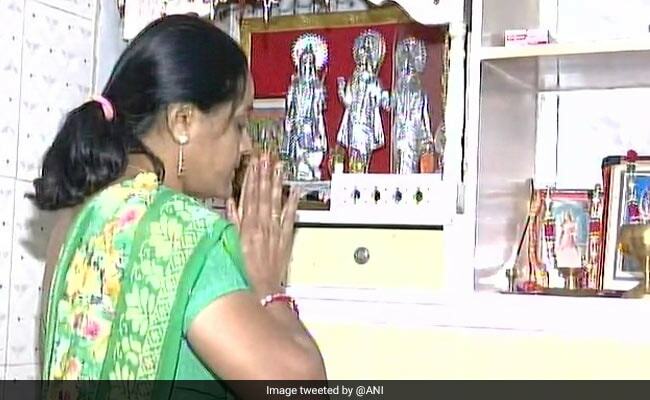 The mother of Hardik Patel, the Patidar or Patel quota agitation leader, prays as voting for the second phase of the Gujarat assembly election 2017 starts. Hardik Patel has called the Gujarat elections a "people versus the BJP" battle. During campaigning, he said it should be a "people's victory, not someone's defeat". Hardik Patel is 24 years old and so is too young to contest elections. He has pledged support for the Congress after much back and forth. Voting has started in the second phase of the Gujarat assembly election 2017. Voting will end at 5 pm. 851 candidates are fighting it out on 93 Gujarat assembly seats in 14 districts. The Election Commission says 2.22 crore people are eligible to vote in the second phase of the Gujarat assembly polls. Voter turnout in the first phase of the Gujarat assembly election 2017 was 68 per cent, according to the Election Commission. "Yesterday, PM made a speech. BJP's President gave an interview. Railway Minister gave an interview. Why have all these escaped the EC's attention? Why pick on only Mr Rahul Gandhi's interview? BJP petitioning the Election Commission is an act of desperation. An interview after the campaign ended is the norm for every candidate and every campaigner in every election," Congress leader P Chidambaram tweeted as the people of Gujarat vote in the second phase of the Gujarat assembly election 2017. People wait outside a polling booth to cast their vote in the second phase of the Gujarat assembly election 2017. The big challenge that the BJP faces in the second phase of the Gujarat assembly election 2017 is to keep its control of Ahmedabad and Vadodara, two big cities in Prime Minister Narendra Modi's home state that had backed the party in the last election with a huge majority. The Bharatiya Janata Party won 26 of the 31 seats from these two districts alone in the last Gujarat assembly polls. Polling officials check documents and electronic voting machines or EVMs for the second phase of the Gujarat assembly election 2017. "To my fellow citizens of Gujarat: Every vote matters. Just go out and vote. Vote for a change of government after 22 years... Don't underestimate the power of your vote. Every vote can bring about change," former Finance Minister and Congress leader P Chidambaram tweeted as the people of Gujarat vote in the second phase of the Gujarat assembly election 2017. The first phase of polling was held on 89 assembly constituencies in Saurashtra and south Gujarat regions on December 9. The voting turnout was 68 per cent that day, according to the Election Commission. "Today is Phase 2 of the Gujarat elections. I request all those voting today to vote in record numbers and enrich this festival of democracy," Prime Minister Narendra Modi tweeted today. The second phase of the Gujarat assembly election 2017 will be held on 93 assembly seats in 14 districts in north and central parts of the home state of Prime Minister Narendra Modi. Some of the key candidates in the second phase of the Gujarat assembly election 2017 are: Vallabh Kakadiya (BJP) from Thakkar Bapanagar, Jaynarayan Vyas (BJP) from Siddhpur, Deputy Chief Minister Nitin Patel (BJP) from Mehsana, Jignesh Mevani (independent with Congress support) from Vadgam, and Kirit Patel (Congress candidate and one of the convenors of Hardik Patel's PAAS) from Patan. A total of 28,114 electronic voting machines or EVMs will be used in the second phase of the Gujarat assembly election 2017; the total number of polling booths in the second phase of the Gujarat assembly polls 2017 is 25,558, according to the Election Commission. 851 candidates are fighting it out; of them, 782 are male and 69 female. 2.22 crore people are eligible to vote in the second phase of the Gujarat assembly election 2017; of them, 1.07 crore are female voters and 1.15 crore are male voters, according to the Election Commission. The highest number of voters is in the age group of 26 to 40 years at 80,91,737. The second-highest number of voters is in the age group of 41 to 60 years at 74,15,727, according to the Election Commission. Voting for the second phase of the Gujarat assembly election 2017 will start at 8 am and end at 5 pm. The voter turnout in the first phase of the Gujarat assembly polls 2017 on December 9 was 68 per cent, according to the Election Commission. Voting will be held on 93 assembly seats in Gujarat.